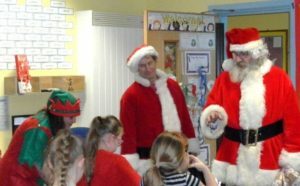 Members of the Hornsea Bike Event Team visited Hornsea Burton Primary School on 20th December, to distribute presents every child in the school. 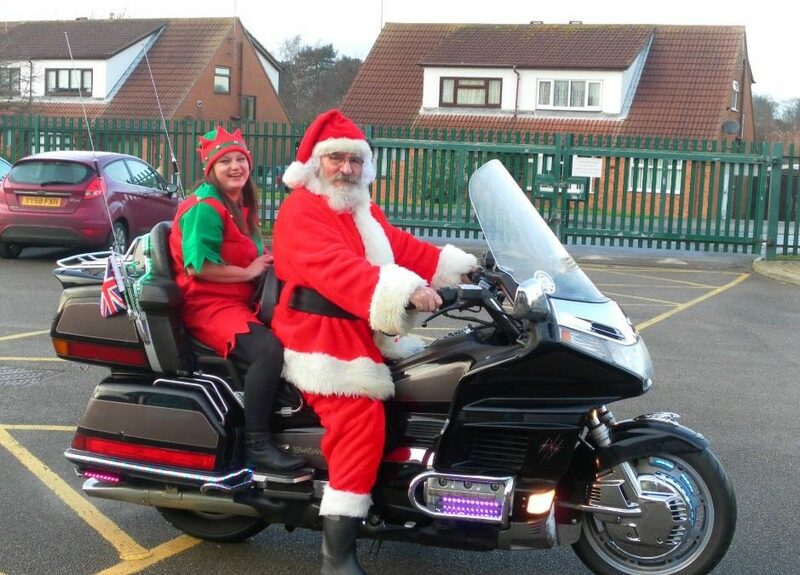 Santa and his elf arrived by Honda Gold Wing motorcycle. (aka Hornsea Bike Event Chair Sid Tracey and Kerri Shepherd, one of the mums), , Santa’s helper, Alan Cusworth handling the sleigh full of presents. The children and staff were delighted. 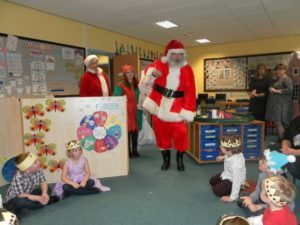 Each child received a personalised present and a packet of sweets. Santa had to answer many probing questions. Luckily, he had an answer for all of them. His beard was tested repeatedly for authenticity; fortunately, it was real.